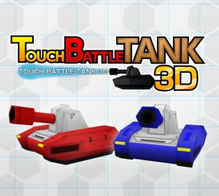 Touch Battle Tank 3D was delisted from the Nintendo 3DS eShop in North America in May of 2018. According to a Wikipedia discussion started by user Kristie Ann Webb this is when several 3DS titles published by Agetec were removed from the eShop. Many of these titles remain available in Europe as of this writing where they were also published by Agetec. “In Touch Battle Tank 3D, it’s you on a solo mission against a nearly unstoppable army of killer tanks. Your strategy – keep the action going and the shells flying! Command either a powerfully armored engine of destruction or a light, agile hit-and-run variety of menacing machines capable of unleashing incredible firepower!